Firstly, let me start by saying I am awful at naming quilts. I would just number them but I can’t remember how many I’ve actually made and if I can’t start correctly, from the beginning, that would bug me! Because that is what it is, My HST quilt. It’s made completely of HST (and some background squares) and is created to showcase all the different designs that can be achieved using just the HST block. A love letter to the HST. 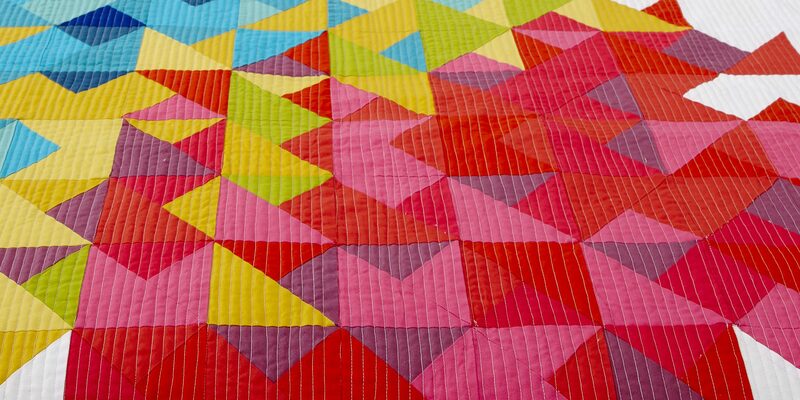 So, this is my latest pattern, My HST quilt. Made in Ombre pink design, but would also look amazing in a totally different colour bundle. Check out the fabrics for the next one I’m making!! If you would like to get the pattern and make your own HST quilt (there’s 3 sizes in the pattern, baby, lap and bed) you can follow these links to purchase. Available as Paper pattern and also PDF download. If you are a shop and would like to stock the pattern, please contact me!